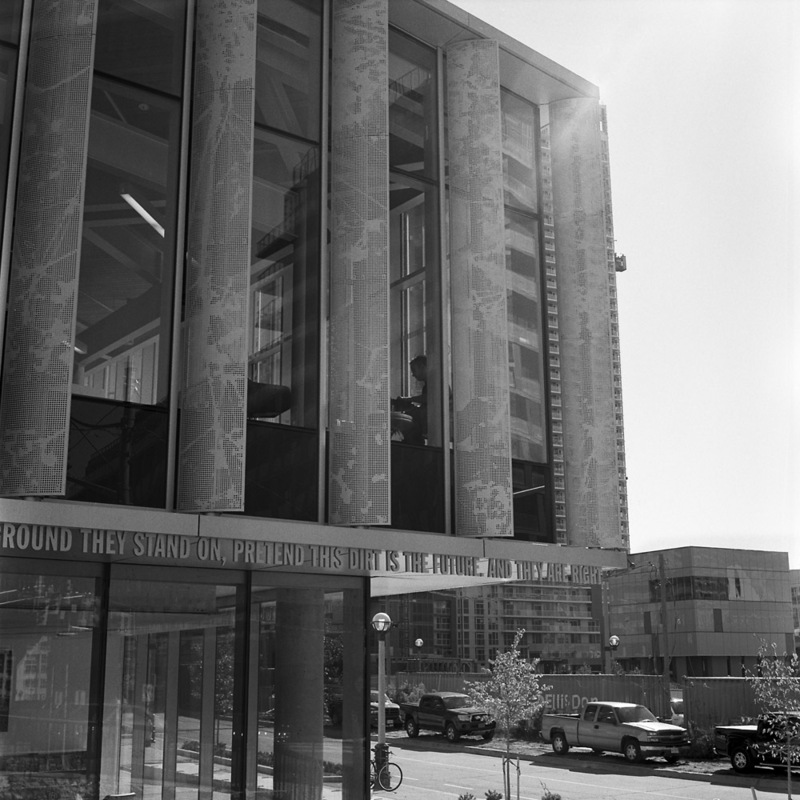 Just around the corner from my apartment, on Bathurst Street, there is a branch of the Toronto Public Library. As I was passing it, I saw this scene of a lone reader, sitting by the window, deeply engaged in his book. There isn’t any real “action” going on here, and the subject of the photo is actually a very small part of the total image, but I think sometimes that kind of subtlety is important and beautiful, and actually makes for a stronger image – you have to think about it a little and really examine the image. This scene struck a chord with me as I remember doing much the same as a kid, going to the public library and finding a corner in which to curl up with a book. While I don’t go to the public library as much any more, the love of reading is still very much alive, and I have my own personal library now- over 2000 volumes and growing.